I’m Gabriel, but some of you might know me as Elbriga. I’m a Parisian graphic artist who’s very passionate about voxels. I discovered Sketchfab a while ago and it’s really the best tool to share and discover 3D art with such an amazing community of creators! I’m also very proud to be part of the Sketchfab masters program. 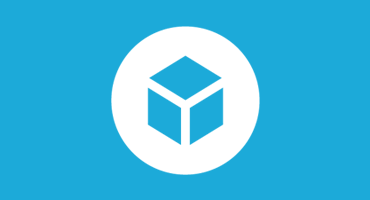 Weekly voxels is a group for sharing voxels creations weekly, around a theme voted by everyone. At the end of each week the most liked artwork gets to be the banner for the group. You can join in on the fun with Facebook or Twitter. Recently, Michael, who started Weekly Voxels, offered for me to become the primary moderator of the group, which I’m super excited about! I’ve been following the group and the voxel community for a while and it’s a real honor and pleasure to be part of it. There have been so many awesome entries and I can’t wait to see a ton more being made ;). As mentioned in his post, Michael will still be around to help guide the project as a mentor, I don’t know how we’d do it without him :). The schedule will be changed to give more time to creation, and accelerate the voting process: On mondays, the winner of the previous week will be announced, and you’ll be invited to give theme ideas in the comments. Then, the theme for next week will then be chosen, leaving you till next Monday to create. We’ll create collections of everyone’s amazing work, so tag your models with “weeklyvoxels-week##” and “voxel“. See the full Speed Voxel on youtube. A general tutorial covering making voxels in MagicaVoxel, and more advanced work in Blender. This was Elbriga from planet Voxel – over and out! I'm Gabriel, a graphic artist from Paris. I am a Sketchfab Master. My main interests are voxels and NPR models.